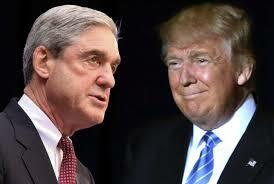 The special counsel, Robert Mueller, has subpoenaed the Trump Organization to turn over documents, including some related to Russia, the New York Times reported on Thursday, in a sign that the investigation is inching closer to the president. The subpoena was delivered in “recent weeks” and includes an order for the Trump Organization to turn over all documents related to Russia and other topics he is investigating, the Times reported, citing two people briefed on the matter. It is the first known order directly related to Trump’s sprawling business empire. But on Wednesday Democratic lawmakers investigating possible collusion between the Trump campaign and the Kremlin alleged that the future president’s private company was “actively negotiating” a business deal in Moscow with a sanctioned Russian bank during the 2016 election campaign. The Democrats did not indicate the source of their information. One month before Trump laid down this “red line”, Don McGahn, the White House counsel, reportedly threatened to quit after Trump asked him to have Mueller fired because the president believed he had a number of conflicts of interest that disqualified him from overseeing the investigation. Opinions divided along party lines. Some 46% of Republicans and Republican-leaning independents agreed, while for Democrats the figure was 75%. The study, carried out before Thursday’s announcement of sanctions on Russian intelligence for its interference in the 2016 elections, also found 55% of Americans either not at all or not too confident that the Trump administration will take serious action to prevent Russia from influencing future elections in this country. Mueller was appointed in May 2017 to investigate whether the Trump campaign colluded with Russia to sway the 2016 presidential election. He is also reportedly investigating whether Trump obstructed justice by firing former FBI director James Comey, who has said he refused to give the president his loyalty. The White House referred all inquiries to the Trump Organization. A lawyer for the Trump Organization did not wish to comment on the record. At her regular media briefing, press secretary Sarah Sanders declined to address reports of the subpoena directly. Vermont has some of the weakest gun laws in the country. After the school shooting in Florida last week, Vermont’s governor — Phil Scott, a Republican — initially vowed that those laws would remain the same. He changed it just one day after his initial response. Why? In the meantime, an 18-year-old from Poultney, Vt. — a small town in the southwestern part of the state — was arrested for allegedly planning yet another school shooting. The governor’s about-face may be only words, but it’s still encouraging. And encouragement is important. I fully understand the instinct to despair about guns: Kids keep dying, and things never seem to change. But the only way they will change is if people outraged by gun violence resist despair.